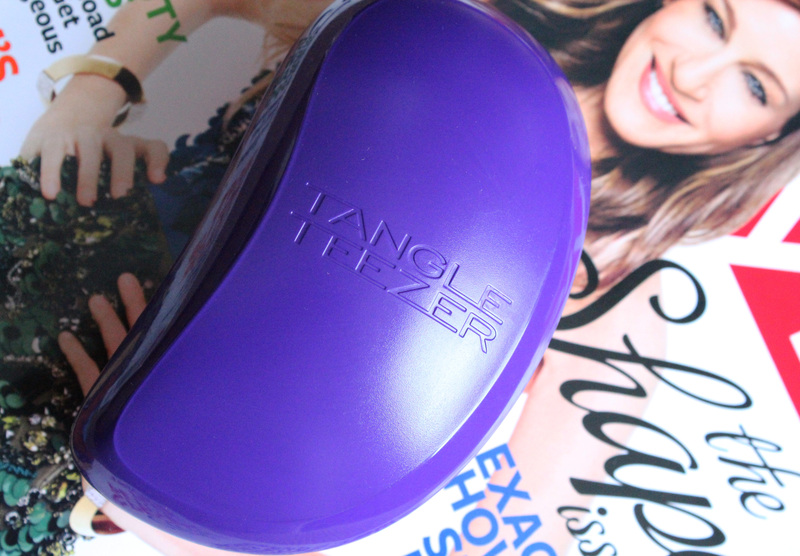 Review: Tangle Teezer Detangling Brush – amandarobots. A few weeks ago, curiosity got the best of me and I popped out to Urban Outfitters and grabbed the Tangle Teezer. They sell them at BossArts, the salon where I get my hair cut; combined with the buzz online, seeing it there piqued my interest. It’s unlike any brush I’ve seen before, so I thought I’d give it a try. Mine is purple and pink, but I’ve also seen leopard print and sparkly purple and just plain black if you’re boring classic. It’s fairly expensive, but it’s durable and works quite well (and Urban Outfitters gives an SPC discount – yay!). Before I started using the Tangle Teezer, I would detangle my hair with my fingers and coconut oil before washing. After washing, I would work creams and oils through my hair – again with my fingers – and then scrunch gel in. Now, I detangle with coconut oil and my Tangle Teezer, which is much quicker and actually results in less breakage and shedding. After I wash, I place creams and oils in my hair and then use the brush to work it through. Because the bristles are different lengths and are very close together, it actually distributes the product through my hair and lets my hair clump together afterwards. Essentially, it detangles but still frees my curls do their own thing. I still scrunch gel in to further encourage the curl, though. When my hair is straight, it’s great at getting rid of tangles and smoothing hair. Best of all, there’s no static, which you’d think would be a problem with a plastic hair brush. To top it all off, it looks like a cute little kidney. 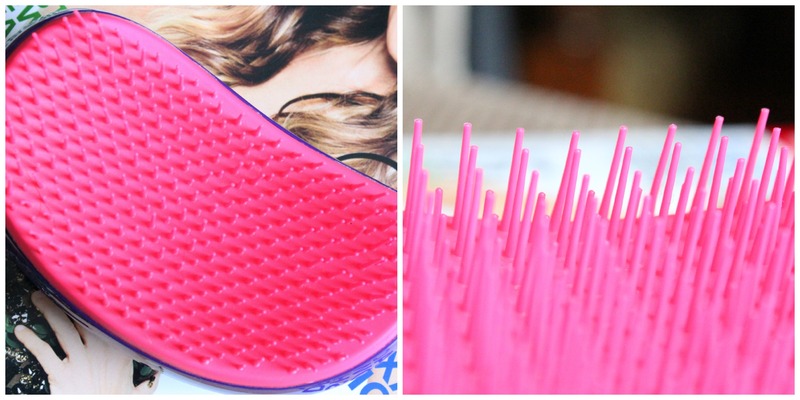 Overall, I’d say that the Tangle Teezer is worth the cringe-worthy price.